Whether you’re choosing roofing materials for looks, cost, or durability, it’s a good idea to look at all your options. One thing is for sure; there are a lot of choices in roofing. Here is a list of some of the most common on the market. Asphalt is what you see most often when you look at a roof. The most common type is the three-tab shingle. Not long ago, you would commonly find a 20-year, three-tab roof on most houses. A 25-year roof is a more common product now. There are better grades of asphalt roofing that give a more three-dimensional look, and laminates that are stuck together to make thicker, longer-lasting shingles with a number of differently designed textures. Asphalt membranes also are the most common for flat roofs. They replace the old hot tar, and instead of being nailed, are torched down as they’re out rolled out. Metal roofing has many different options. The most commonly popular are panels that run the length of the roof. These have always been quite common with industrial and pole buildings, but over the last 10 years have developed a residential appeal. Early issues of heat escaping have been addressed by some companies that sell insulated panels and others that concentrate on coloring for either absorption or deflection of the sun. With blown-in insulation, much of the concern for heat loss is eliminated. Wood means cedar, mostly. 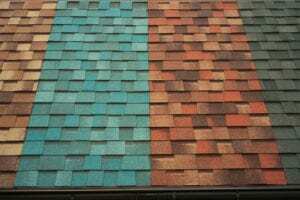 They’re a favorite due to the look and the longevity of a shake roof; they are also a high-maintenance product. They can last up to 50 years or more, depending on the area, but to get the full longevity out of them they need to be kept up. They can be oiled or stained, and usually require a soft pressure washing before being treated. Typically there is a difference between roofing and siding shakes, with the roofing ones being longer and thicker. Thinner, siding shake is most readily available and does get used on roofs. It looks good too. The 3-D look of tile is definitely a preferred look on homes with a stucco or Southwestern appearance. They aren’t among the least expensive choices, but they’re popular and they aren’t prohibitively costly. They are long lasting, at 50 years-plus, and for the most part, impervious to all but the most extreme weather. They have a cooling effect on the house, which is another reason they are most popular in warmer climates. The traditional red tile is the most common, but there are tiles of all colors and shapes, and some that simulate rock or wood. The thing that makes composites of rubber or plastic so popular is that they quite often provide a cheaper simulation of other popular roofs. They are frequently used to mimic wood, slate, or tile. Composite roofing can be made of rubber, plastic, fiberglass, or recyclables, and can be made into membranes or tiles. Some options are also a good way to get a totally adventurous roof with a look all its own. This isn’t a complete list of all your options. Actual slate, organic materials, and even sod or landscaping are being used with increasing frequency. Most people tend to choose what their neighbors are using, but creative alternatives are showing up more and more. If you’re thinking about cost, think in both the long and short term. Even when buying something outside the norm, you can still get affordable, long-term durability. Whether you are going for traditional shingles or want to try unusual materials, spend time talking to Patriot Roofing to find out what materials will work best for your house and your goals.